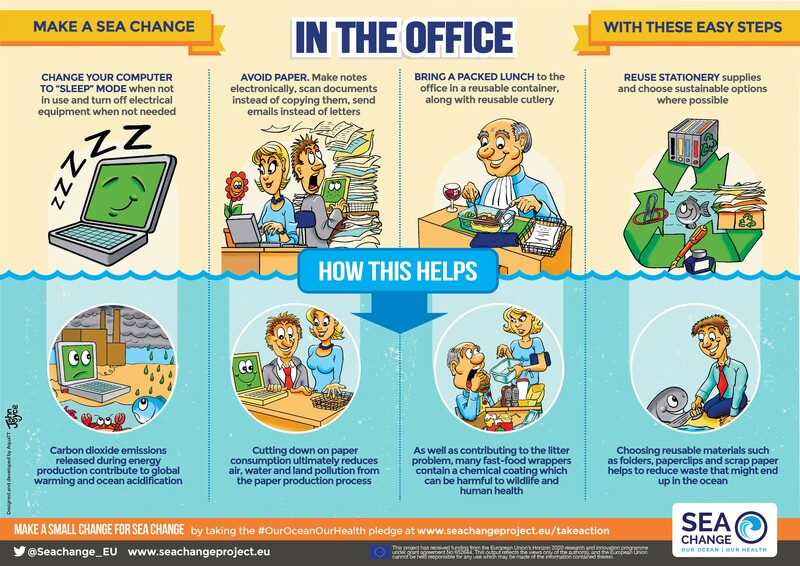 The Sea Change project aims to establish a fundamental ‘sea change’ in the way European citizens view their relationship with the sea, by empowering them, as ocean-literate citizens, to take direct and sustainable action towards a healthy ocean and seas, healthy communities, and ultimately a healthy planet. “Message in a bottle” challenges us to change our relationship with the ocean. 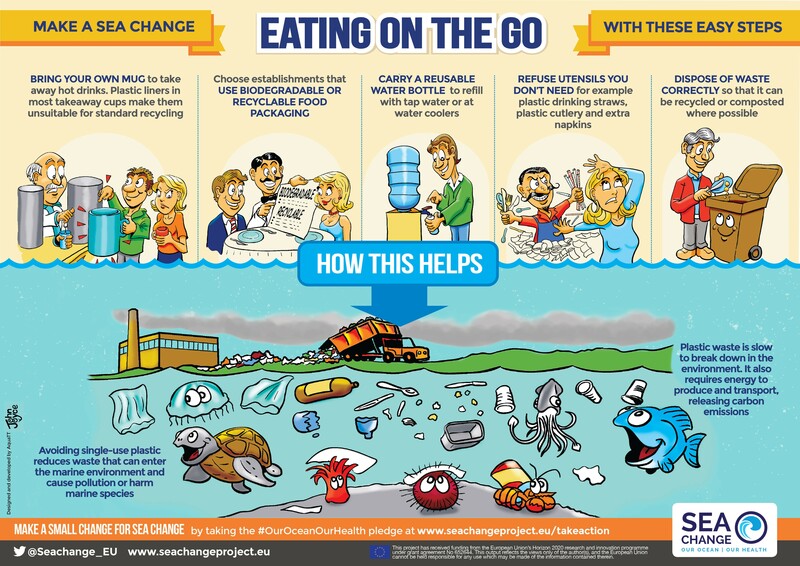 This will be achieved through the journey of eco-friendly bottles around Spain. 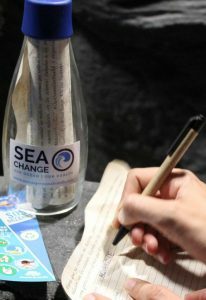 Each bottle will have a parchment inside describing the event’s instructions and the big goal that we want to achieve: change our relationship with the ocean. This can be reached by small actions, which participants will carry out (e.g. 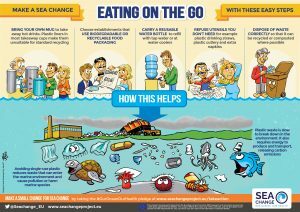 choose reusable bags and bottles rather than plastic ones, don’t flush plastic down the toilet, beach and/or river cleaning, etc.). All six routes were scheduled to start in September/October 2017 in different aquariums around the country. Each bottle will cover coastal and inland areas, raising awareness that our actions affect the marine environment no matter where we are. All the bottles will be brought together again during an engaging final event on 24 November 2017 in the National Environmental Education Centre, Spanish Ministry of the Environment, where participating schools will have the opportunity to learn more about the actions made as a result of the initiative. 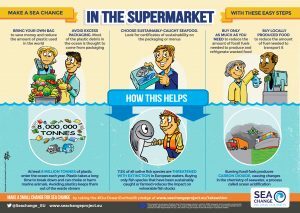 The initiative was launched on 8 June 2017—World Oceans Day. Since then, a total of 50 participants have registered (schools, diving clubs, families, natural parks, etc.). These groups will take small actions to tackle the big challenge of changing Spanish citizens’ relationship with the ocean. For more information on this initiative, see the Spanish website Mensaje en una Botella. 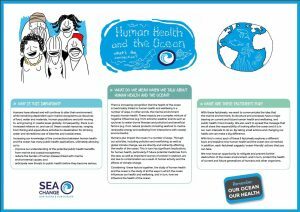 Experienced educators, tutors, professors and researchers from the Sea Change project have developed a novel Massive Open Online Course (MOOC) with the aim to create a deeper understanding amongst European citizens of how our health depends on the health of our seas and ocean, and to create a community of teachers and educators interested in the ocean. The course was launched in November 2016 on the European Multiple MOOC Aggregator (EMMA). 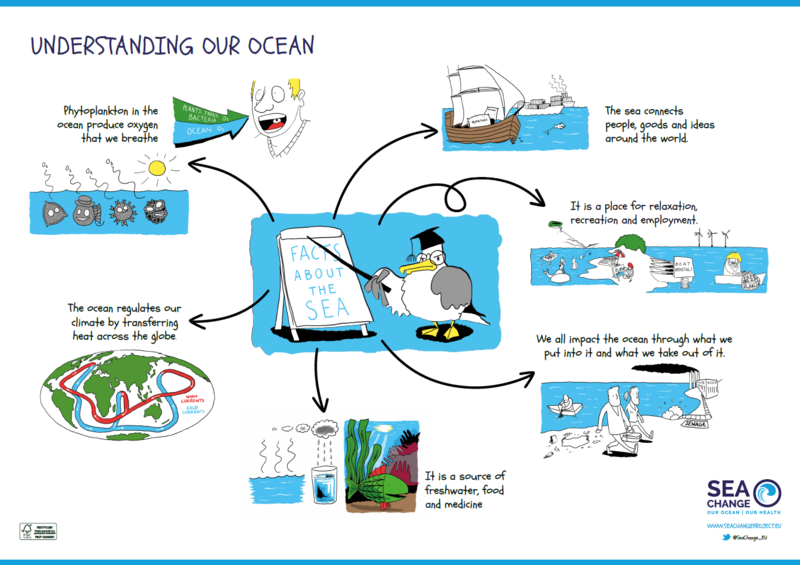 The course provides support and advice for teachers and educators to incorporate ocean literacy into educational programmes, and share activities and lesson plans developed by experts in the field of Marine Education. Click here for the course flyer. 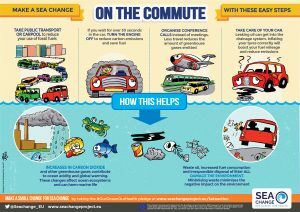 Even by making a small change in your everyday life, you can achieve big results in helping to protect the ocean. 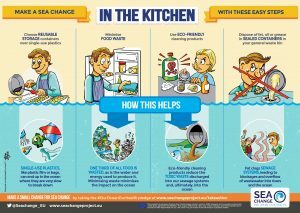 The Sea Change campaign provides tips and useful resources on what you can do to make a difference. This campaign is based on the latest scientific evidence with input from scientists and educators from a range of disciplines. 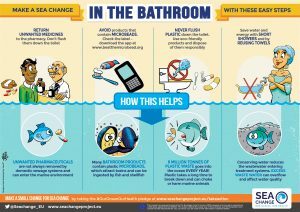 AquaTT (Sea Change communication partner) and many others around the world who are riding the Wave For Change! Take the #WaveforChange challenge and take action for the ocean by recording a video of yourself making a promise and doing the wave. The University of Gothenburg had a booth at the Universeum Science Centre on World Oceans Day (8 June 2017), where people made pledges to take action to protect the ocean. 144 promises were collected in total! The global ocean has changed dramatically since Ferdinand Magellan undertook the first circumnavigation of the world in 1519-1522. The ocean has increasingly become a connecting element among nations and people, while the human impact has largely increased and ocean observation is now an important tool in managing its waters. 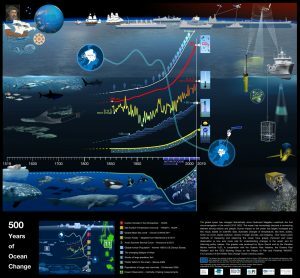 This visual, based on scientific data, shows how the ocean has evolved in terms of temperature, acidity, sea-level, ice-cover, plastic pollution, shipping, stocks of larger animals, etc. in the past 500 years. It also displays some of the efforts made with regard to ocean observation. 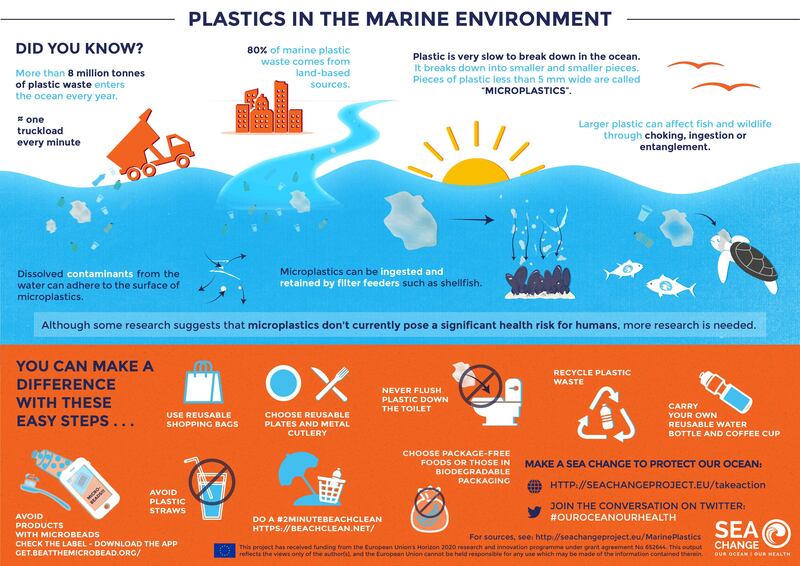 This graphic is produced by artist Glynn Gorick and by the Flanders Marine Institute in cooperation with the Oceans Past Initiative. For a high resolution version of the infographic, click here. The Ocean Edge Directory is a collection of educational resources and activities that are either available as downloadable products or serve as an inspiration to help you to share ocean knowledge to any type of audience. This database includes both formal and informal learning resources developed in the framework of European projects, or projects with a European involvement. The Ocean Edge Directory is available here. For more information on Crab Watch, see here. The Sea Change consortium comprises 17 partners from nine different countries, coordinated by the Marine Biological Association of the United Kingdom. 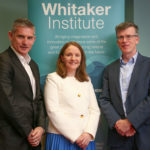 This consortium—which includes nine public research organisations, five non-profit organisations, two higher education institutions, and an SME—brings together selected experts to collectively provide the knowledge, competence, skills, and facilities needed for ensuring a good project development, the achievement of project objectives, and the successful delivery of project results. The full list of partners as well as the members of the international advisory group are listed on the Sea Change website. The Harmful Algal Blooms ebook is now available on the iBookstore; click here for details.